How to use KMS Hair Play Sea Salt Spray! KMS Hair Play Sea Salt Spray! The transformative ingredient in the Sea Salt Spray is genuine Dead Sea salt, which contains over 21 minerals that help to repair and protect every strand of hair. The matte finish this spray gives allows every style you create to look natural and lived-in, while the light hold lets your hair move freely in the summer breeze! This styling spray gives you the versatility to create textured, just out-of-the-ocean looks or smooth blow-dry styling with lots of fullness! For a beachy, waved look , start with towel dried hair and apply the spray from roots to ends of each section. Once your product has been applied, comb through your hair with a wide-tooth comb to evenly distribute the product and get rid of any tangles. You can either dry your hair by diffusing with a blow dryer or simply allowing the wind and sun to dry your hair for you! Finish this look off with KMS Dry Wax to add more hold and KMS De-Frizz oil to control any frizz. For a more styled, sophisticated look, again start with towel dried hair and apply the spray from roots to ends of each section. KMS Shaping Blow Dry Spray can also be added to provide heat protection and deliver a stronger hold for your style. Blow dry your hair using a round brush to give volume and smoothness to your look. Finish your blowout with KMS Working Hair Spray to provide humidity resistance and a light hold and KMS Playable Texture spray to add even more texture throughout your look! The KMS Hair Play Sea Salt Spray and the rest of the KMS line can be found at both Aurelio Salon Locations. Unsure about what styling products are best for you? Schedule a complimentary Style Equation during a blow dry service with any of our talented stylists to learn how to style your hair at home and much more! We are constantly on the lookout for certain hair care products that will make our customers’ locks look and feel fantastic. But, being sticklers for quality, it’s usually quite rare that we find a range of hair care products that we actually love! 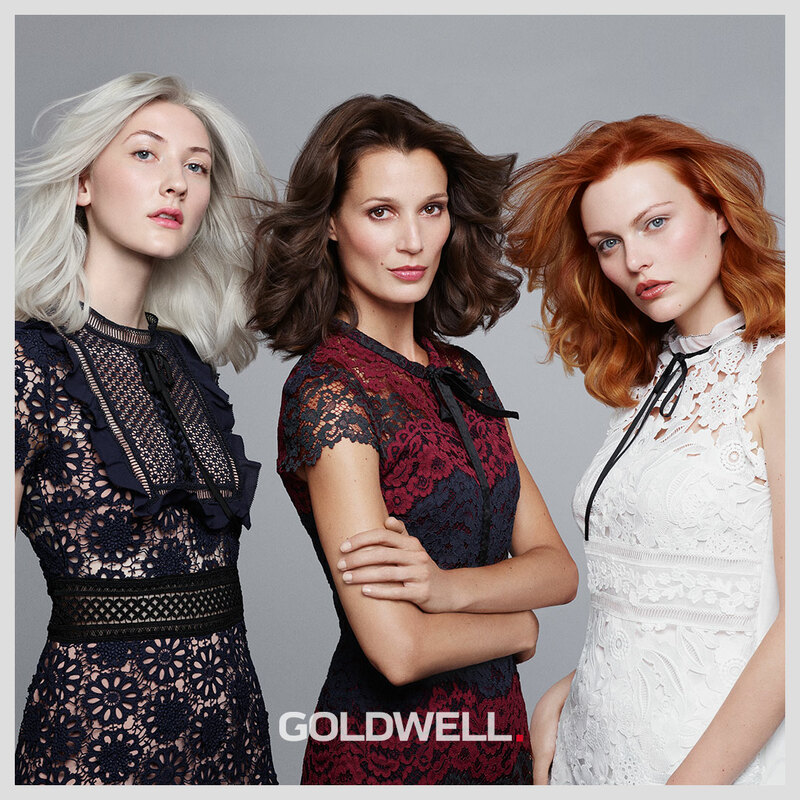 That’s why Goldwell’s collection of hair colors features so heavily in our offering – we adore the products, know exactly how to achieve the premium results, and our clients are always delighted with their beautiful new hair color. Goldwell’s range is split into four main hair care product types: permanent color, semi-permanent color, lightener and color systems. Within each category, Goldwell has further developed unique formulas that focus on improving the performance of the colorant by enhancing the condition of the hair. 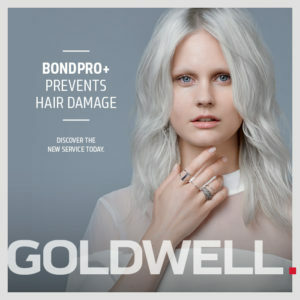 Whether you are looking for a gorgeous, natural tone or a wild new shade, Goldwell’s extensive product offering will help you achieve and maintain the style you want. 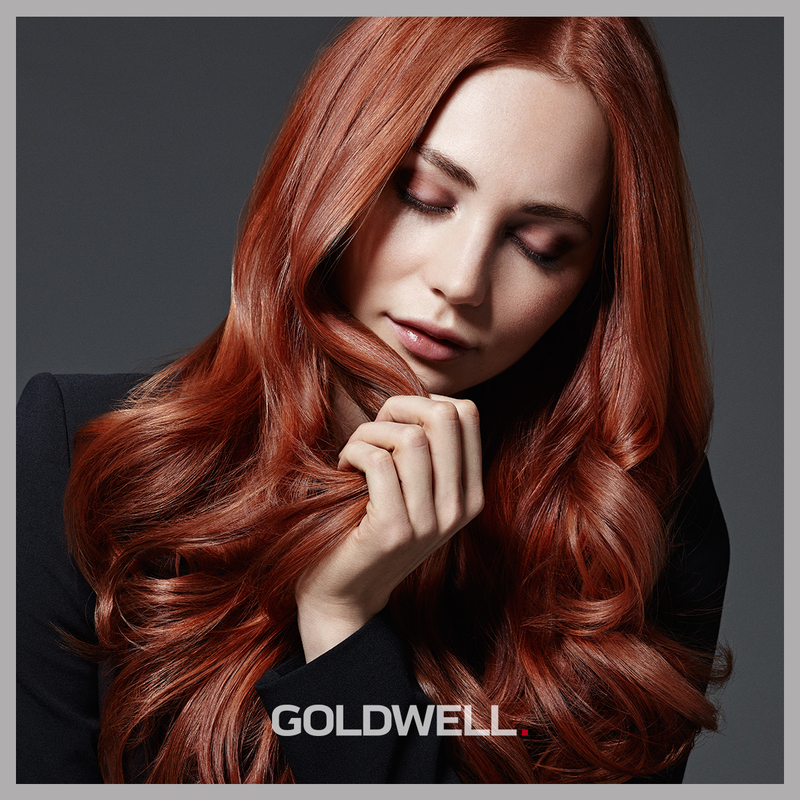 Read on to find a quick view on effectiveness and benefits of Goldwell Colorance products. Have you spent a little more time in the chlorine water or sun this summer? A gloss will help repair any damage you have due to intense summer heat or excessive chlorine exposure. Daisy recommends getting a gloss. “It really helps to repair your hair so that your hair will feel much better,” she said. The gloss will deep condition and return texture of your strands for ultimate smoothness, silkiness, and maximum brightness. The gloss is not as harsh or permanent as other regular hair colors. “It is very acidic and closes the strands and the cuticle real tight. The result is a very shiny and smooth surface texture that will reflect more light and add much softer feel to it,” says Daisy. On the other hand, standard hair color contains ammonia, which first opens up the hair and cuticles and then deposits color into it, therefore increasing the chance of hair damage. Goldwell Colorance products can help reduce the highlights. Daisy recommends getting a gloss therapy right after coloring to tone down the color. After every color treatment in my salon, I finish the treatment with a gloss to lock the color and to make sure that the tone is the exact shade that my guests demands. You do not have to change your natural hair color to get the benefits of a glow. The clear gloss is essentially a powerhouse of a conditioning therapy for your hairs. All you would be doing is lowering the pH level of your hair that imparts extreme conditioning properties. Daisy says there is no better clear gloss treatment like Goldwell Colorance. It’s totally in for fall. According to Daisy, this season’s hair trends will be “all about really rich jewel tones.” Her advice: If you are a brunette, go for an espresso brown or rich honey. If you are a redhead, try a deep auburn or copper. And if you are a blonde, opt for a golden tone. Congratulation on our stylists attending Goldwell’s Master Stylist program! 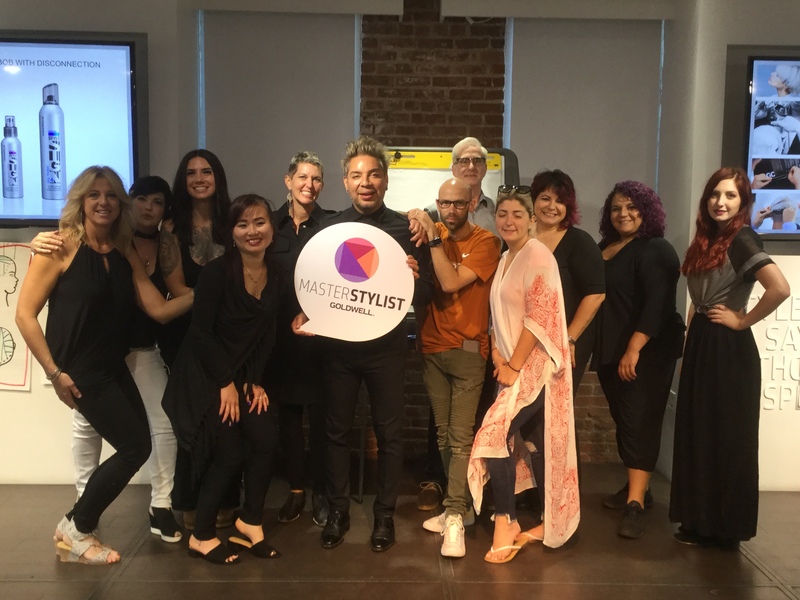 Congratulations to our Salon Director Daisy and Master Stylist Natalie Ann for completing the second part, of Goldwell’s Master Stylist program! The Master Stylist program consists of a series of classes focusing exclusively on cutting and styling. 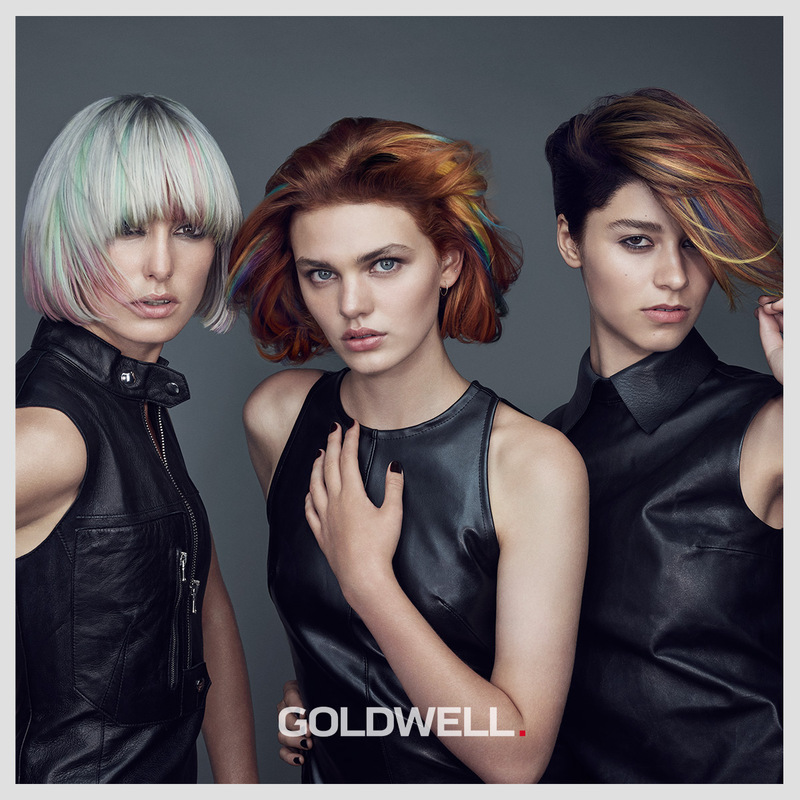 The comprehensive, four-part series is taught at the Goldwell Academy in New York or Santa Monica. This past year, both Daisy and Natalie Ann have completed the first part of the program, Essential Shapes and well as completing the first phase of The Maser Colorist program! This past weekend, they have completed the Contemporary Shapes program, which introduced them to modern color placements and haircuts perfect for the salon! Daisy is the Salon Director and a Master Stylist at Aurelio Salon of Howell with over 20+ years of experience in the industry. She is certified in DevaCurl , Perfectress and Cinderella. Aurelio Salon has been awarded Goldwells Titanium Award for the past 3 years under her guidance and multiple recipient of the Pat Riley Award for Excellence. Natalie Ann is a Master Stylist at Aurelio Salon of Howell and has been in the hair industry for over 17 years. She is certified in DevaCurl, Perfectress extensions as well. In 2014, Natalie was asked to join Goldwell as an educator and has traveled throughout the country educating salons and stylists. She dedicates her time attending classes at the Goldwell Academy in New York City and is focused on elevating her technical skills to become a true master in her craft! 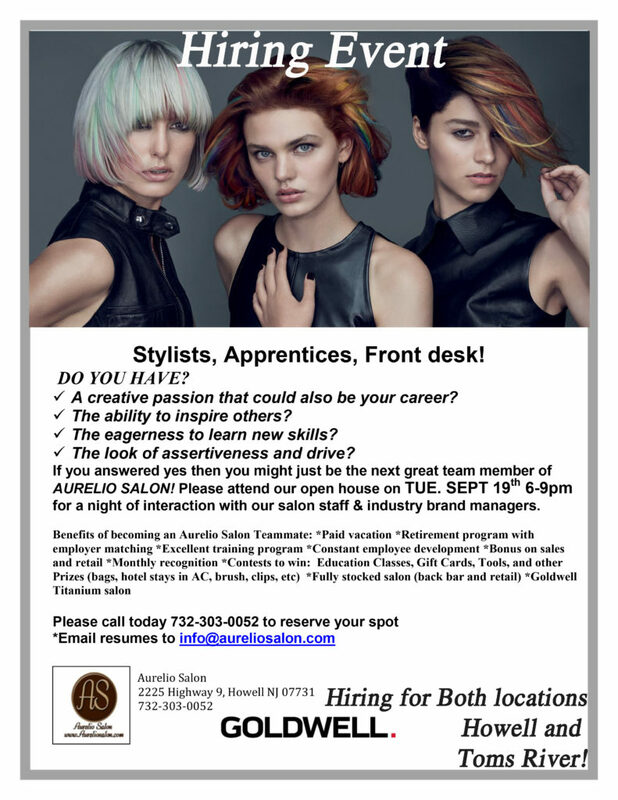 Join us in celebrating our Stylists as they advance in their career! Join us in congratulating Lauren, Arielle, and Jenna P on achieving the next level in there career! All 3 of these amazing stylists have completed hours upon hours of education and met all the requirements at Aurelio Salon to move up to the next level of Stylists. This past year has been an amazing year for them and their skills have developed and advanced as they have grown with the company. As of August 1 Lauren will be a Element 2 Stylist, Arielle will be an Element 3 Stylist, and beginning September 1 Jenna P will be an Element 4! At Aurelio Salon we are blessed to be able to work with these passionate, wonderful, and talented people.